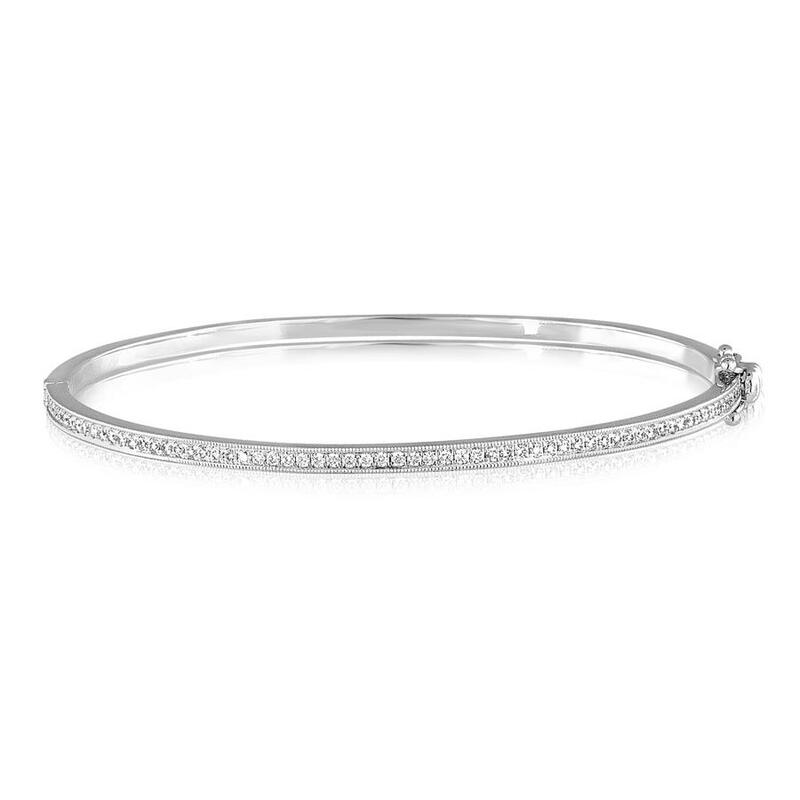 Micro-Pave Diamond Bangle. 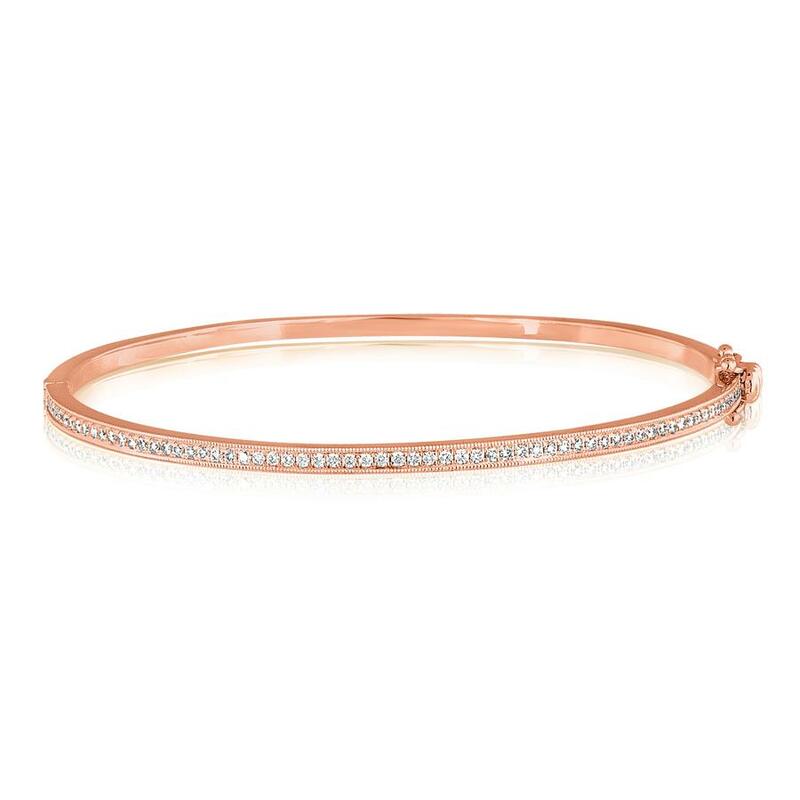 This diamond bangle has diamonds going half way around the bracelet. The diamonds are set in a micro pave setting. There is a figure 8 lock added for extra security. The bangle measures 58x50mm.